September 16, 2015 June 9, 2016 / Steve M.
This is an unusually late edition for me, undated, but close to 1980, judging by other titles issued by this press. This title and its illustrations are exceedingly rare, in the original French edition, published in 1934 by Éditions du Couvre-Feu. As well as the present edition which I have only ever seen the copy listed here. Listed here for your enjoyment with the cover illustration in colour and 5 full page illustrations in monochrome, all by the incomparable Wighead. The author Jim Galding remains unidentified. 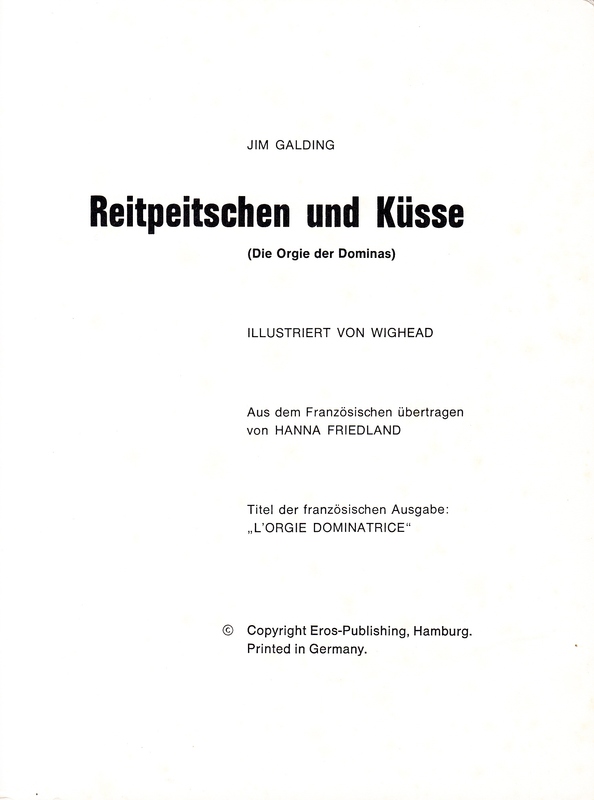 Jim Galding: Reitpeitschen un Küsse (Die Orgie der Dominas) Eros Publishing Hamburg n.d. (1980?) 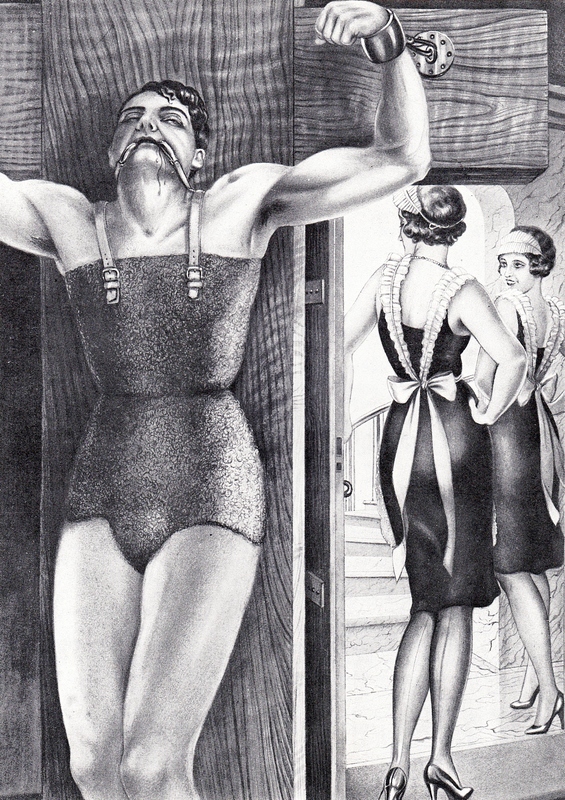 illustrated by Wighead, being a German translation of L’Orgie Dominatrice (1934), in original illustrated card covers, 88 pages.